Coming Soon - Bradley Wood's very own standing camp. New for this August 2018 is our very own Standing Campsite. You no longer need to bring all your tents and kitchen equipment with you because Bradley Wood are building their very own Standing Camp. All the fun of a camp with the convenience of a residential building. 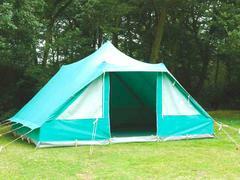 The campsite contains sleeping tents, a fully equipped kitchen tent and a central dining/social tent. Perfect for an easy weekend away. Call us to make your booking or enquire about any of our activities. Yes, that's right, our beer fest is back for a 2nd year! a weekend that is not to be missed!